For someone who is away from home and doesn't have much time to prepare food and who is pretty much sick of eating out, having the proper airtight container really means a lot. I got my first food container when I was traveling to Barcelona 3 years ago. I like to eat healthily so I prepared myself some chicken and peas for the trip, put it in an airtight container and was set to go! What is the first thing you must look for when choosing Airtight Container? It may sound silly but having the right food container can really mean a lot. There's nothing worse than a large amount of food gone bad just because you didn’t have the proper container to put it into. An airtight container will keep your food fresh and prevent it from turning soggy or dry out. Airtight containers come in different shapes, sizes and materials, can be bought in every store but how to choose the right one? 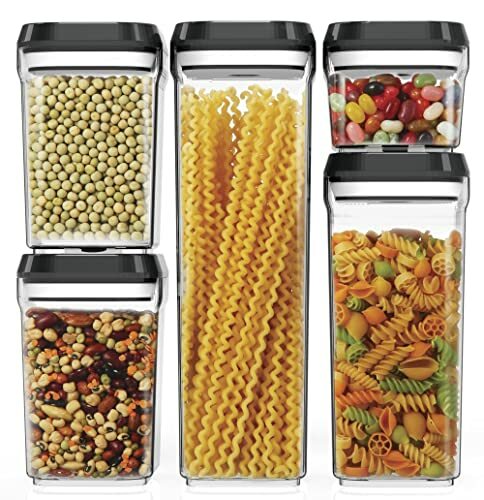 When purchasing food containers, there are few things you must consider. The material from which the container is made is the first thing you must look for when choosing your airtight container. Glass allows to be both refrigerated and microwaved, it prevents odors, and it does not contain chemicals that are bad for the food. Also, it is transparent, and you can easily see what’s in there. 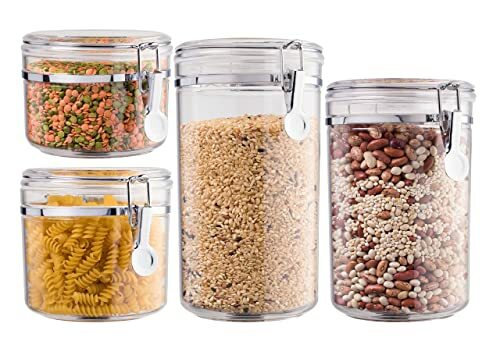 Glass containers are healthy and are rated “GRAS” by FDA, meaning that it is “generally recognized as safe” material and it’s easy to clean. On the other hand, if you drop it accidentally, it will shatter. Plastic is the most common type of container. It’s light and portable and can be brought everywhere. But, because of the toxic chemical (BPA) that can be found in plastic containers, people are often buying containers from a different material. Plastic containers are good for storing a small amount of food that will be eaten in a short time. For example, if you are traveling somewhere or going to work but didn’t have time to eat the lunch you prepared. Stainless steel is light, it can last for a long time and it’s easy to clean. It doesn’t let toxic chemicals come near food. These containers are a bit more expensive on the other hand. When choosing your airtight container, whether it’s plastic, glass or stainless steel, make sure you check if it’s dishwasher safe, stain-resistant and can be microwaved. Glass containers are suitable for microwave use – they get an advantage in this comparison stage. One of the main flaws of glass and plastic containers is that they tend to become covered in stains that can’t be removed. Containers must be leak-proof and airtight for food to last longer and to prevent the liquid from leaking. Lids also play a key role when it comes to storing food. Air is one of the worst enemies of food and how you store it can really effect on its quality later. Therefore, lids must fit tightly so they can prevent air from coming into the container. Also, they must have seals that increase protection of the food but also they need to be easy to open. The color of the lid is important too. It's not just for decoration, it has its purpose. Think about it, how many times have you had trouble with finding the lid for your container because they all look same? Here’s a tip: try buying airtight containers that have lids with bright colors, that way you’ll remember which goes with what plus it’s colorful and fun. Airtight containers come in two shapes: square and round. Although round containers allow air to circulate better, square containers are great for storing a large amount of food. Both shapes are great, depending on the purpose they have. Your personal preference and the way you’re going to use them will be the determining factor here. Here I’ve picked five of the best and most popular airtight containers and compared them based on the features and things you should look for. This is a 5-piece square set that includes 1 tall container, 1 medium container, 2 small containers and 1 mini container. It's made of durable plastic, and it's been tested as BPA free. It's amazing for storing any kind of food, from liquid to dry food that can last for a long time. It has a lid lock mechanism which pushes the silicone seal inside the lid and creates airtightness when it’s pushed down. In addition, this mechanism is fully leak-proof. The parts are easily removed and easy to clean with just soap and water. Because of its square shape, it will save you a ton of kitchen space. Remember that trip to Barcelona from the introduction? Well, an airtight container from this set was my companion on that trip and I’m happy to say that we had a great time during the days. Well worth the money! 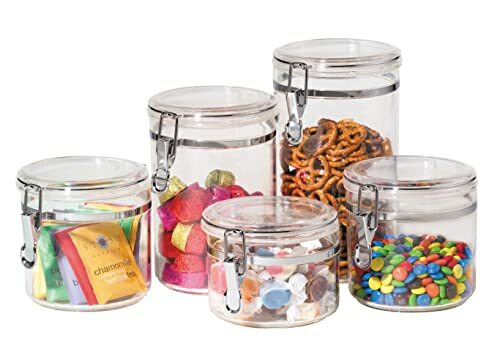 This is a 4-piece acrylic canister set. Like glass, an acrylic container is completely see-through. It has flip top silicone lids that prevent air from coming into the container. It's good for storing tea bags, oatmeals, cornflakes, cookies, coffee, sugar, spice and everything nice. The material is way stronger than glass – it can't be easily broken, even when it falls on the ground (it even bounces a little). It’s very safe if you have small children and pets that tend to knock things over often, and this way they stay unharmed. And the best of all, even though acrylic is stronger, it’s also lighter than glass. The big one from the set is very spacious, and others follow this fashion. The mechanism for the lids is somewhat good; it prevents anything to break in, but it’s tough to clean. On top of that, if it gets hit when falling (happened to one of mine) the mechanism can get broken. Overall, this set is good enough for the money paid. It will provide safety for your stored food and will last you for long. This is a 5 piece set with clamp lids with silicone that prevents air from getting through. It’s good for storing things that can usually be found in the kitchen on daily basics such as cookies, sugar, coffee, tea bags, spices and much much more. It's light and see-through, and it fits perfectly on the shelves. It’ can’t be broken easily if it falls on the ground – it bounces right back. The round shape can provide a spacious storage for food, and you’re going to like the way clamps work. On the other hand, those clamps aren’t long-term solid. After a while, they might loosen up and compromise the tightness. My hubby used to love those clamps and even played with them a little, maybe this was the reason. Overall, I was satisfied with these airtight containers, but I wouldn’t recommend those 3 out of 10 times. If you’re going to use them for takeaways, they might not be as good. For kitchen storing, on the other hand, they are good. This is a multi-use, vacuum seal portable storage container for dry and liquid food. It's tested and approved by FDA as airtight, moisture-free and recyclable. 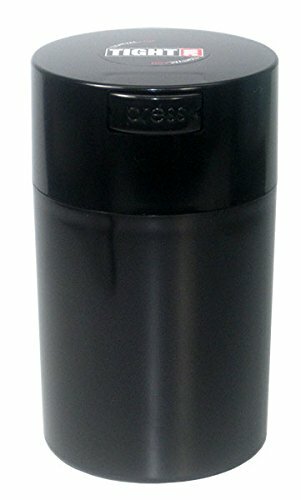 It’s excellent for pouring coffee or tea when you are in a hurry and want your coffee or tea TO GO. It has patented system that is able to preserve goods for one year keeping it fresh and odor free, and it’s simple to use, you just need to push the button on the cap and then pull the cap off. However, it has a lack of design, so I don’t see myself using it for something other than pouring some coffee to go when I'm in a hurry (See also: my best coffee grinders for French Press). It is worth mentioning that it is not dishwasher and microwave safe, so it needs to be hand washed (which is still very easy and efficient). Other than that, its decent price and durability really give more positive than negative impressions. Don’t expect storage space for food here, this is a perfect liquid container. This is an airtight, space-efficient container designed, so that is able to storage large amounts of dry food. It has a push-button mechanism that creates an airtight seal for a safe opening. It keeps the food fresh for a long time. It’s airtight and leak-resistant. It’s great for storing large amounts of food when you are planning on going on a trip with your family and friends because you can pack everything in one container rather than carrying around several more. For my personal experience, it performed great as a leftover container. The food stored inside was still tasty and 100% usable. It’s light and easy to carry around while maintaining its form and doesn’t open on impact. The silicone gasket on the lid is dishwasher safe, but the container needs to be hand washed. The container is BPA free, and very useful – around 13 ounces of storage space will be decent for most of the kitchens. For the money paid (some might find it a bit pricey), it’s a viable addition to my drawers. 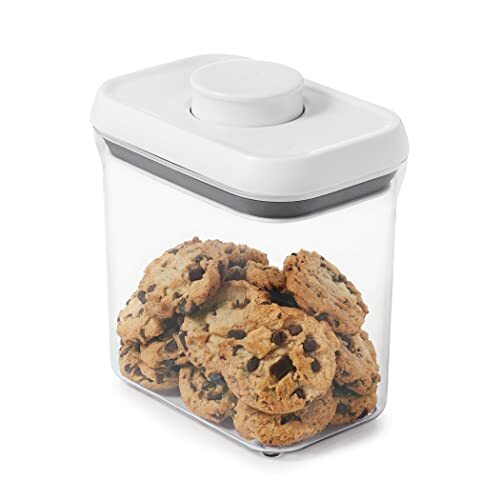 Royal Air-Tight Food Storage Container! It light, airtight and it’s alright! Because of its durability and how it is easy to carry around, Royal Air-Tight is my personal favorite. It’s good for someone who is absent from home a lot but still wants to eat fresh and healthy food. The versatility of the whole set brings you many options for both carrying and storing on shelves or drawers. The material quality is excellent, the sealing mechanisms are superb, and when you top all that with a good price, there’s no reason not to have this airtight container set.